Spend a relaxing weekend at one of our city hotels. Whichever one you choose, do it in style with these amazing city break offers. 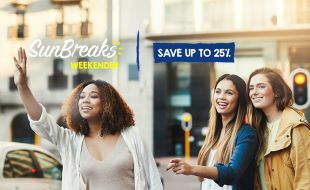 From R799 per room per night, including breakfast for stays until 31 January 2019. Offer is valid from 6 May 2018 - 31 January 2019 and must be taken up on the applicable days during this period. Family rooms are not available at StayEasy Pretoria and StayEasy Emnotweni. The child policy is therefore not applicable. SunRands may be redeemed and earned on these rates.